Our mutual syndication arrangement with 6moons is something really substantial and important for us here at High Fidelity of Poland. Using the platform of one of the largest audio magazines in terms of print and online reach, we can present our reviews to an audience nearly an order of magnitude larger than our own (250.000 vs. 35.000 readers). Our Swiss partner is pleased too with this state of affairs and inspiration goes beyond mere review presentations. In Srajan's reviews I always look for new or simply interesting audio products from all over the world . 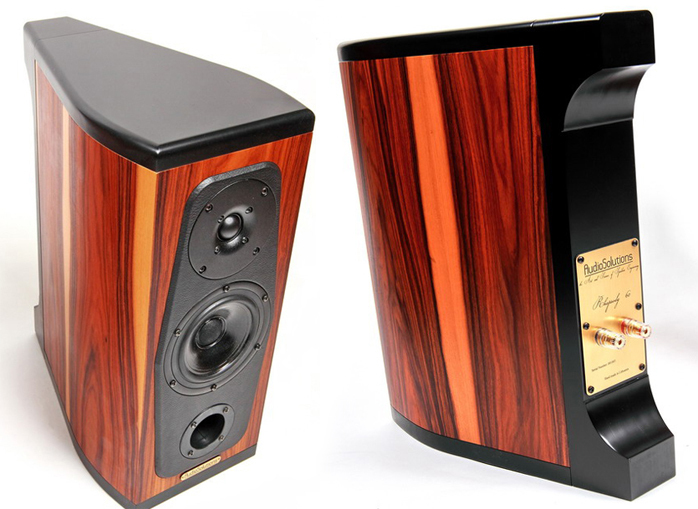 That’s how I became aware of AudioSolutions whose top Rhapsody 200 model Srajan reviewed last year and since purchased. In that review I enjoyed learning how company owner Gediminas Gaidelis thinks, not to mention the fact that his firm is based in Lithuania. For me as Pole that's important since our countries have been connected both historically and geographically. Despite current political relations being far from what they should be, I’m all for cooperation stretching as far as possible even if just on a basic purely personal level. The first audio products High Fidelity reviewed from behind our north-eastern border were the Black Stork turntable and breathtaking Reed 3Q tonearm. Not long thereafter their two partners parted ways to split into two separate entities - turntables.lt for turntables and Reed for tone arms. I already arranged a Reed review for one of their newest products. I had more or less vague knowledge about AudioSolutions, i.e. the facts that they were founded in the summer of 2011 with the slogan The Art and Science of Speakers Engineering. However nothing conveys better insight into a product than a conversation with its designer. Thankfully Gediminas Gaidelis isn't a man of few words. He was happy to give me a short lecture on the particular model under review. Technical philosophy behind the Rhapsody 60. "My philosophy is that a speaker's sound must be as uniform as possible. That means no particular frequencies should come forward or be weak. For example some manufacturers prefer a midrange that's a bit 'deeper' than the remainder to create an 'intimate' character. 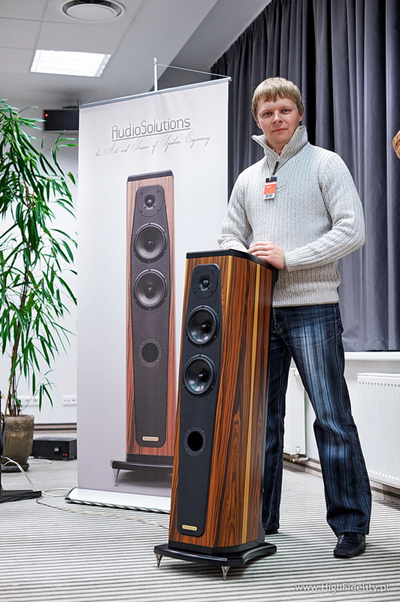 AudioSolutions aims at a character that's as neutral as possible. This doesn't create any type of sound and the speaker repeats what's on the recording. We prefer this because it gets unpleasant when for example the sound remains intimate across all musical styles. It may be good for easy jazz but not classical music which should be clear, fast and of great dynamics. Hence our sonic conception is to simply reproduce what's on a recording. If the recording is intimate, sweet or dark, the speakers will let you hear this. I think that's the only true way to listen and to understand what any musical creator meant to express. "To achieve this we tune our ports including that of the Rhapsody 60 a little lower. We get slightly less bass but the bass itself is more natural, deeper and better integrated. The same goes for cabinet volume. When calculating it we try to avoid less volume than the drivers really need. We usually go for exact or slightly overspecified cubic volume. 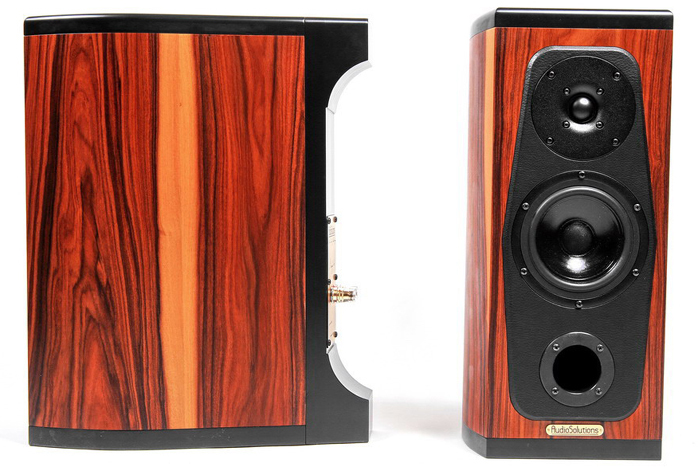 Put simply, we calculate speaker cabinets and ports for a lower Q. "Now about the cabinets. We don’t agree with those who want the box dead quiet. They use aluminium, marble and other hard materials to damp the box as much as possible. This is not a bad way to start but even DIYers know that it's impossible when low frequencies travel through walls with no losses depending on wave length and wall thickness. Extreme damping affects the power response which is more important than on-axis response and may result in a dull dead sound. To avoid this we endeavor to achieve something else: that our cabinets radiate all frequencies in all directions as linearly as possible. Now the power response becomes more even and as a result so does the entire sound. But do not mix into this internal wall resonances. We are fighting those too. They are as unwanted inside the cabinet as are standing waves outside. To lower resonances we use several layers of materials with different resonant properties. Such a sandwich construction is less resonant than a one-layer board of the same thickness. Curved side walls help as well. 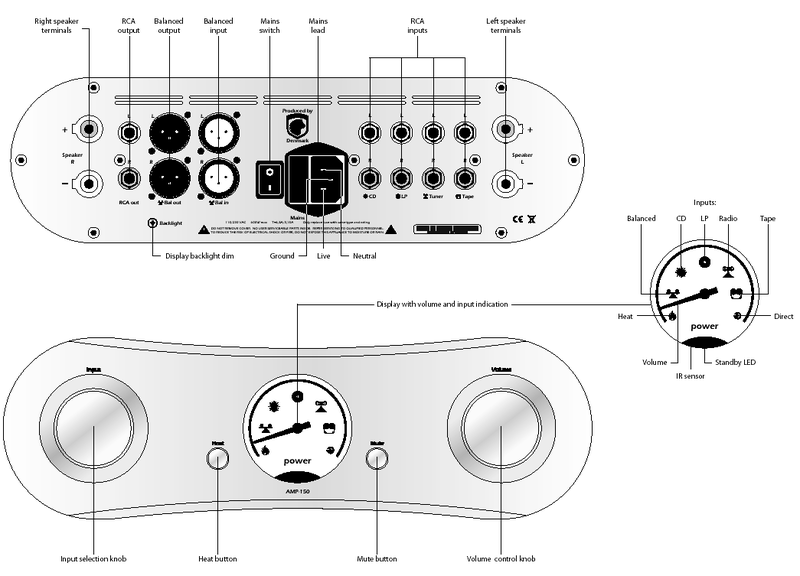 We all know why drivers need enclosures - to eliminate the rear wave. But those energies unfortunately won't be eliminated completely in classical boxes as parts reflect from the rear wall through the thin driver cones. This causes acoustic lobing, phase irregularities and distortion. The best way to fight these reflected waves is to minimize the reflective rear baffle. The lower its surface area, the less sound it reflects. That's why we use narrow spines - only 7.8cm for the Rhapsody 60. This works flawlessly. 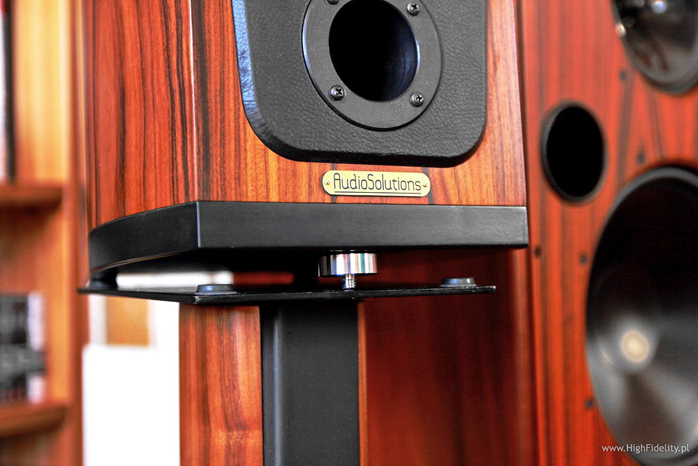 Our measurements show lower distortion, better phase characteristics and a clear much more pleasing sound."